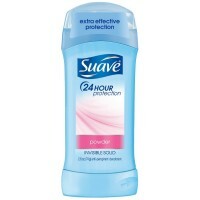 Suave Powder 24-Hour Protection Solid Invisible Antiperspirant Deodorant protects skin against wetness all day long. 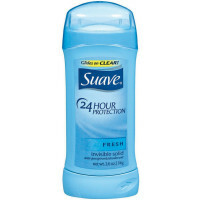 Suave's deodorant stick is perfect for active people, and will work to keep you dry and odorless all day. This deodorant for women will fight against sweat to prevent any unsightly sweat patches, and the fresh, powdery scent in this women's deodorant will keep you smelling good. When you're looking for a strong deodorant, it's best to look for one that will provide a sweat block, at the same time as making you smell good. It's also important to find a product that won't stain your clothes or leave any residue on your skin. You can protect your clothes with this Suave deodorant, which is in a mess-free stick form that glides on and won't leave any residue or telling white marks on your clothes. 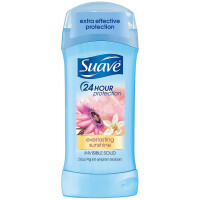 The Suave Anti-Perspirant Deodorant works best when used with other body and hair products in the Suave range. Try Suave Professionals body and personal wash, or try different fragrances within the shampoo and conditioner range. 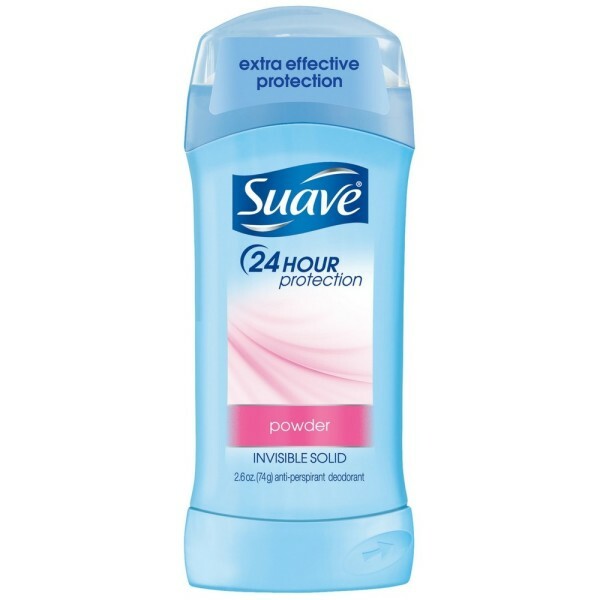 Experience quality protection with strong deodorant, and feel clean and refreshed when you use the body wash and shampoo and conditioner products available in the Suave range.